One of Melbourne's best kept secrets, we pride ourselves on being a place where everyone can feel welcome. There is more to us than meets the eye from Sydney Rd. 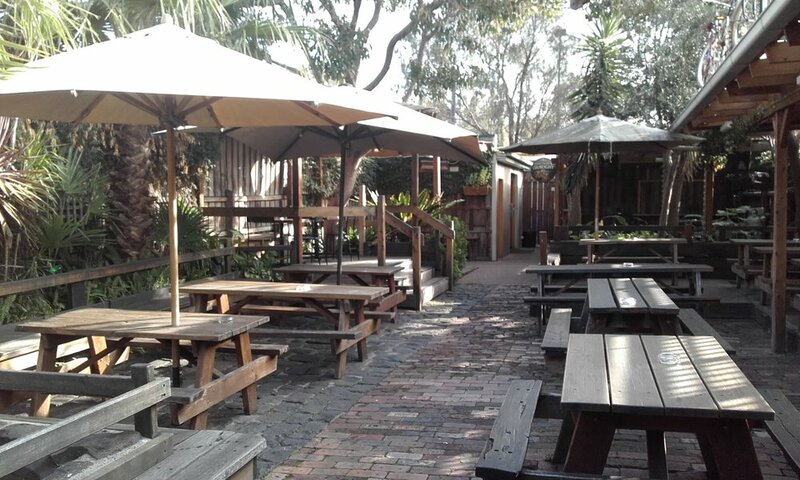 Come in and visit our popular beer garden, often featured in Melbourne’s best beer garden lists. Tropical plants, rustic picnic tables and cobbled with blue stone and old bricks underfoot, this garden is a sanctuary from the busy Sydney Rd and a substitute garden for those living in nearby apartments. Featuring undercover areas, heaters when cold or misted cool on a hot day, the garden is an ideal place to catch up with friends. Inside, the Green is welcoming and full of cosy spaces, music memorabilia and random kitsch (check out the spoon collection!). The bar features a wide selection of bottled craft beer and cider, wine, draft beer on tap and a vast selection of spirits including a good selection of single malt whiskeys. Our kitchen provides simple quality homemade food at great prices. We regularly feature gigs with great local musicians. Monthly we feature the Political Asylum Comedy night which targets hot political topics. Please check our facebook page and subscribe to our events list to get information on upcoming shows. We welcome table bookings for groups. Please see bookings section for more detailed information. Hard to go past once you know its there, the beer garden is the most popular area of the bar. 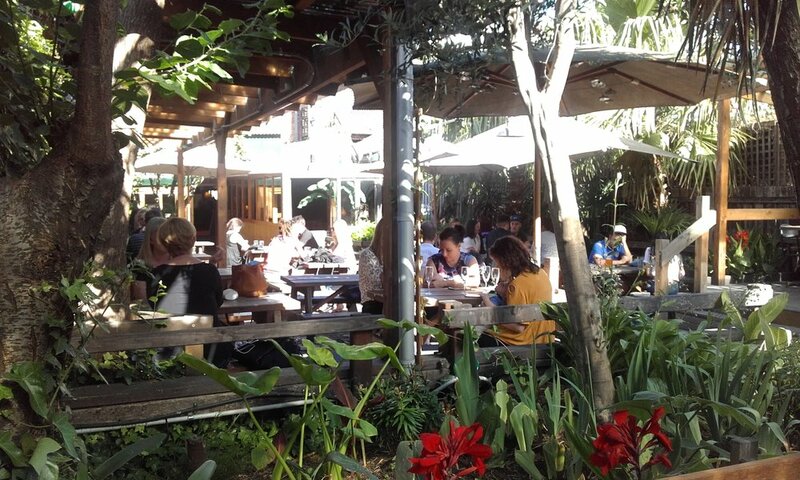 Generous outdoor tables feature in the garden which has plenty of shelter, is heated in winter and misted cool in summer. Live music features on stage during the weekend afternoons in the warmer months. Relax and catch up with friends in the rustic tranquility of our cobbled garden amongst tropical plants which are lit up at night. We can take bookings from a table for two up to a function of around 50 people. Apologies in advance, the beer garden is not available for private hire. A space full of character, this room is able to be separated from the rest of the bar. Eclectic live music and comedy nights are some of the regular features in this room but it is also available for private bookings or larger table bookings. The regular set up seats around 40 comfortably but can be rearranged to suit needs such as theatre style or tables can be removed for more standing room. Also features air conditioning and heating. This casual lounge space features cosy couches and tables with a view of the beer garden. There is a warm gas flame heater and a shelf of board games. Great in winter with a glass of mulled wine! A relaxed space that can be booked for small groups or table reservations. Please note we no longer accept bucks/hens parties/18th birthdays. Pub crawls and 21st birthdays by prior arrangement only.